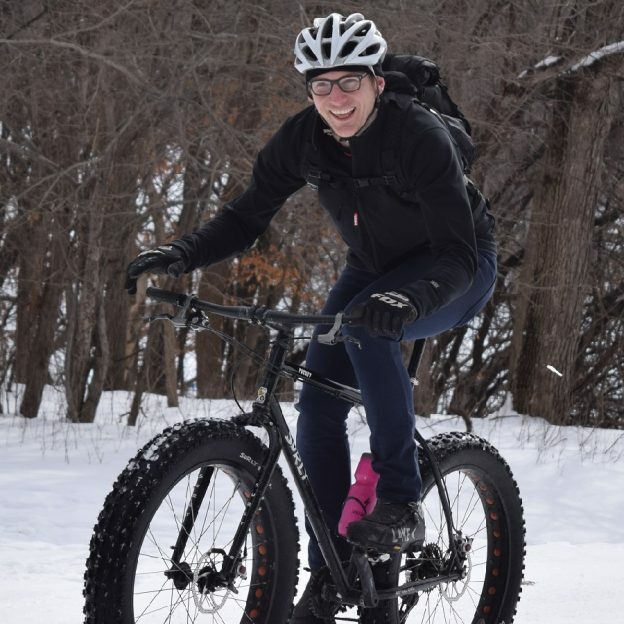 With summer soon upon us, we wanted to share a bike/birding hotspot we discovered to add to your list of Minnesota places to explore. 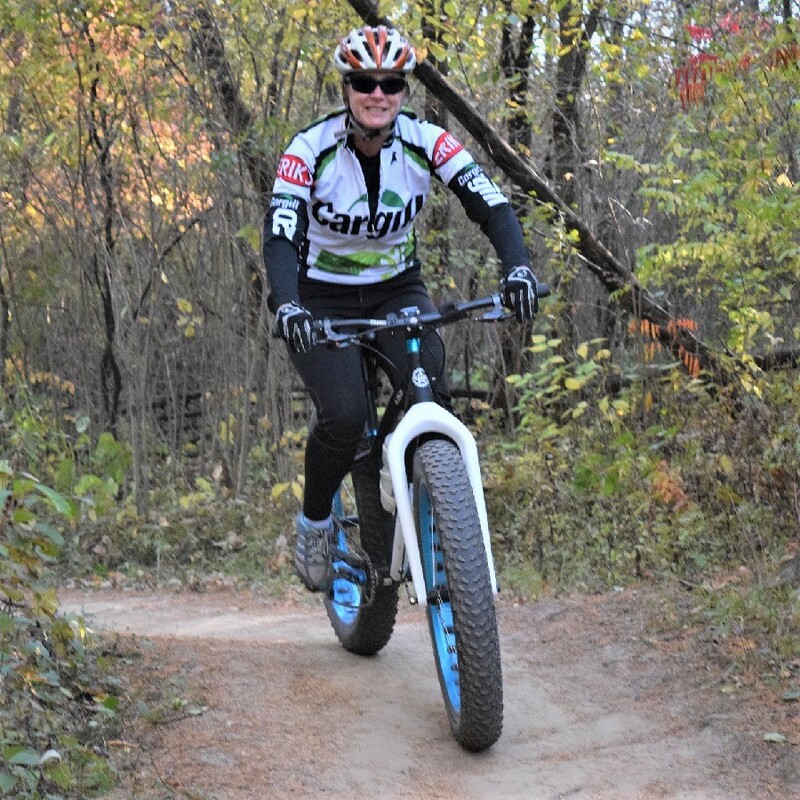 Checking out several bike trails in the north suburbs of the Twin Cities this summer. Ground truthing the maps in the MN Bike/Hike Guide our interests were piqued by several birding haunts that we noticed in the community of Shoreview. An area once inhabited by Dakota and Ojibwe tribes, today this community has many parks along its lakes. These parks provide both residents and visitors places to enjoy bird watching. Why here? From these areas alone you are able to spot an impressive list of songbirds, hawks, and waterfowl. Looking for some new birding spots to explore? We’ve got you covered starting with a local apple orchard. From there, we have identified several additional birding hotspots in the Twin Cities Gateway that is worth checking out. A birding hotspot to see hawks is at the Victoria Valley Orchard in Shoreview. As September will soon be upon us, many of the nesting sites in the apple trees at the Victoria Valley Orchard have fulfilled their use. One task finished, they are now a good place to spot many seasonal birds and hawks. Like many of the groves around the country, the orchard here is a rich habitat for nesting birds as they forage nearby. Here are a few of the birds that have been observed here: the Baltimore Oriole, Blue-Winged Warbler, Chimney Swift, Osprey, Red-Shouldered Hawk, several species of sparrows, and the Scarlet Tanager. 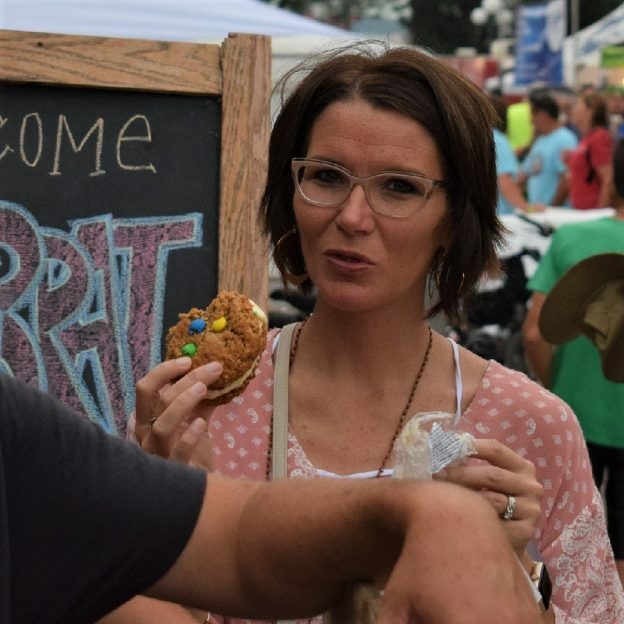 Location: The Victoria Valley Orchard is located at 4304 North Victoria Street, in Shoreview, MN. You are welcome to wander the orchard throughout the year to spot the different birds that live or pass through here. Commercially they are only open from early September through mid-November if you would like to buy some of the 19 varieties of apples that they grow. For more information please visit their website at http://www.victoriavalleyorchard.com/. 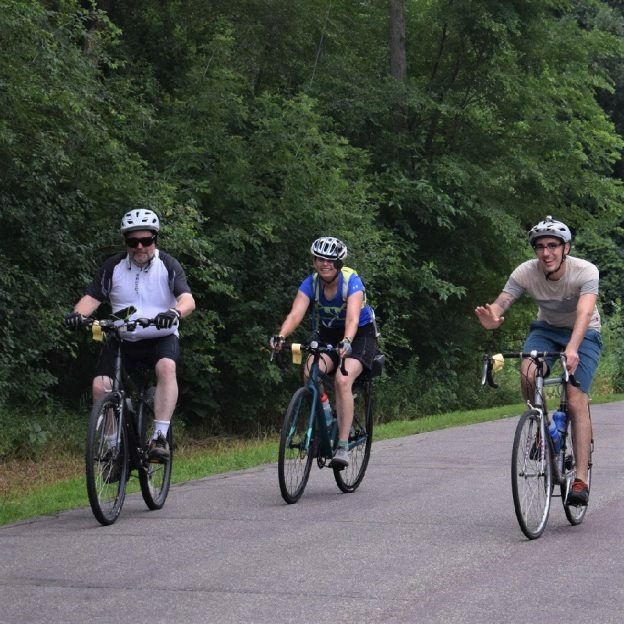 A birding hotspot can be found along most of the paved bike trails that meander through the parks in Shoreview. Another birding hotspot on our tour in Shoreview is the trail along Highway 96. This trail borders the north side of Snail Lake. 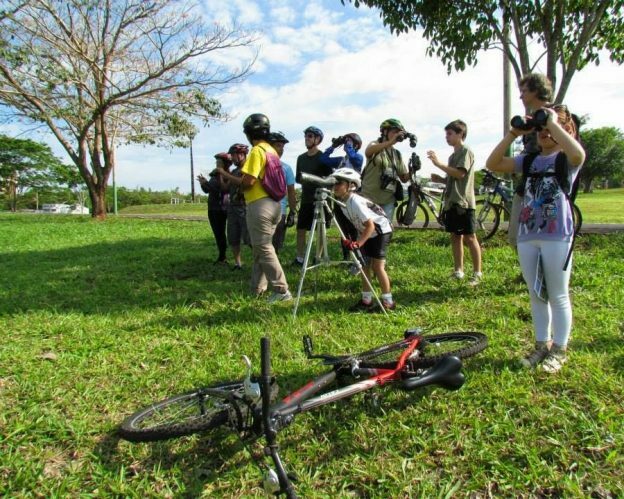 One of two areas to observe the birding activity here is at the grassy area just off the trail. With a few potholes and a line of trees partially blocking the lakes view, you may spot several varieties of warblers, if they haven’t left. 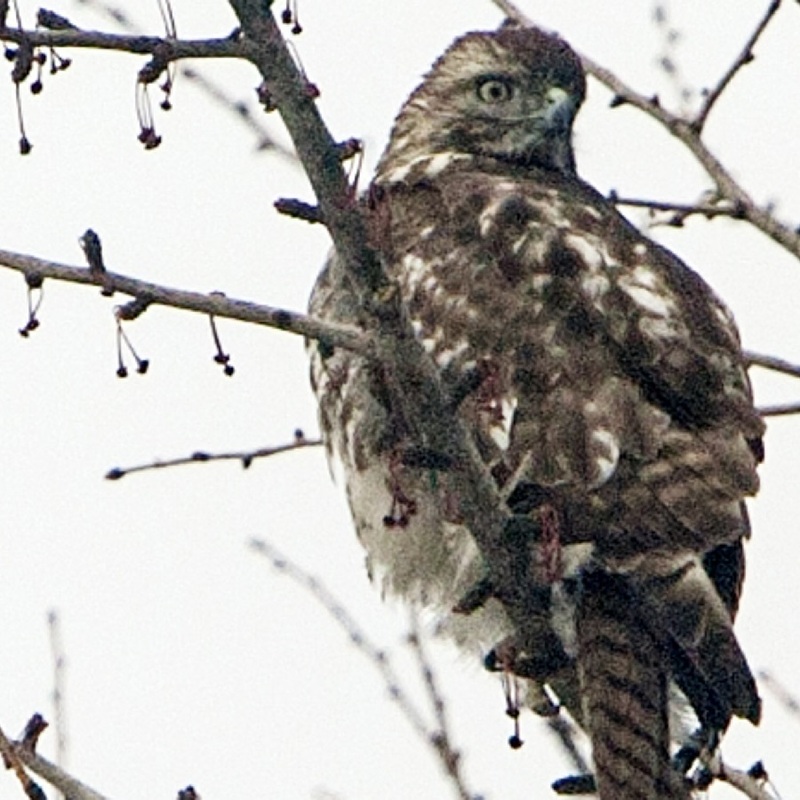 Plus, if you’re lucky, you’ll catch a glimpse of the Red-Shouldered Hawks. A variety of other marsh birds that use this area can also be seen here. 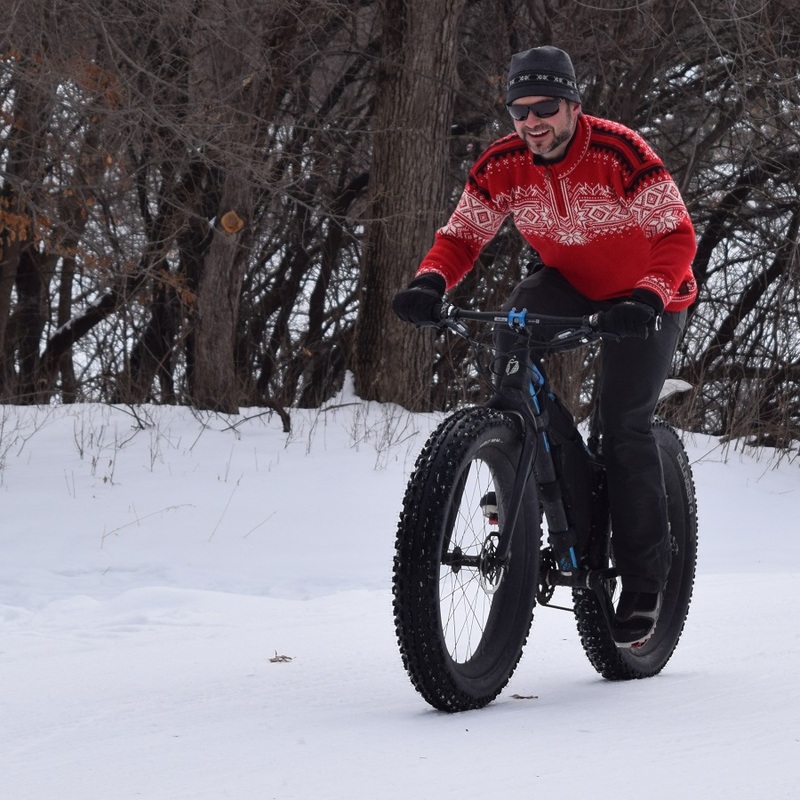 Location: The trail location is on Highway 96 and across from the Shoreview Public Library. There is a public park at the south end of the lake for another viewing location. Now heading further east along Highway 96, our tour of birding hotspots takes us first to Sucker Lake. Then, across County Road F, the trail takes you into Vadnais Lake’s park area. Both these lakes and the park areas are a part of the Vadnais-Snail Lakes Regional Park and are reservoirs for the St. Paul Regional Water Authority. These lakes are fairly deep and the wetlands are composed of extensive tamarack and shrub swamps with large marshy areas. The forest area here is mainly mature pine plantations with some oak woods for nesting Pine Warblers and Red-Shouldered Hawks. A variety of marsh birds use the shoreline here. Along with the fall migratory waterfowl activity of both lakes, this area is also good for migratory warblers and Red-Breasted Nuthatches. Location: Just south of Highway 96, take the Rice St. exit from I-694 and go north. The north access and parking is east of Rice St. on Sucker Lake Road. The south entrance is east from Rice St. on County Road F, then north on Sucker Lake Road. 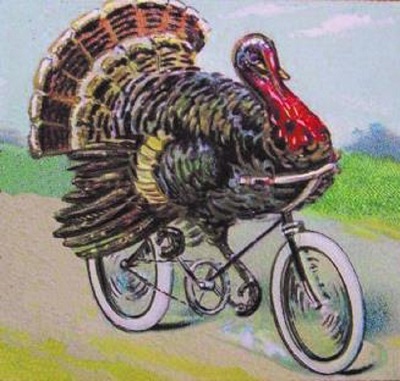 Another birding hotspot is in Grass Lake where paved bike paths pass through some of the open meadows. Another birding hotspot in Shoreview is Grass Lake, which is also a part of the Vadnais-Snail Lakes Regional Park system. The main vegetation here is the deep water cattail marsh with floating mats. On both the east and west sides of the lake, Oak woodlands can be found. On the north side of the park, there is a mixture of swamp shrubs and grasslands that are prevalent. Here at Grass Lake is where Marsh Wrens, Osprey, and Red-Shouldered Hawks commonly nest. Common Loons are often seen in the spring and summer along with many sparrow species that stopover during their migration. Location: Grass Lake is reached by turf and paved trails from the parking area off of Gramsie Road. The parking lot can be reached by taking the Victoria St. exit from I-694 and going north to Gramsie Rd., then east to the MacKubin Rd. intersection. Entrance is on your right. For more information on these birding hotspots and others, contact Ramsey County Parks and Recreation Department at (651) 748-2500 or www.co.ramsey.mn.us/parks for more information. 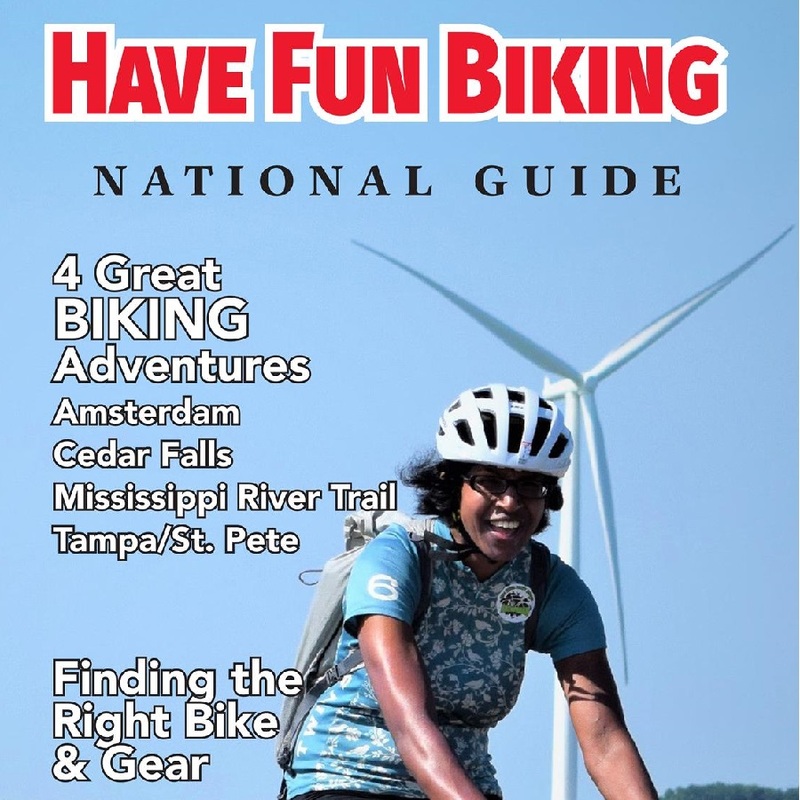 For those interested in riding their bicycle to the above parks described, we have identified an easy path to take to have optimal bird watching capabilities. 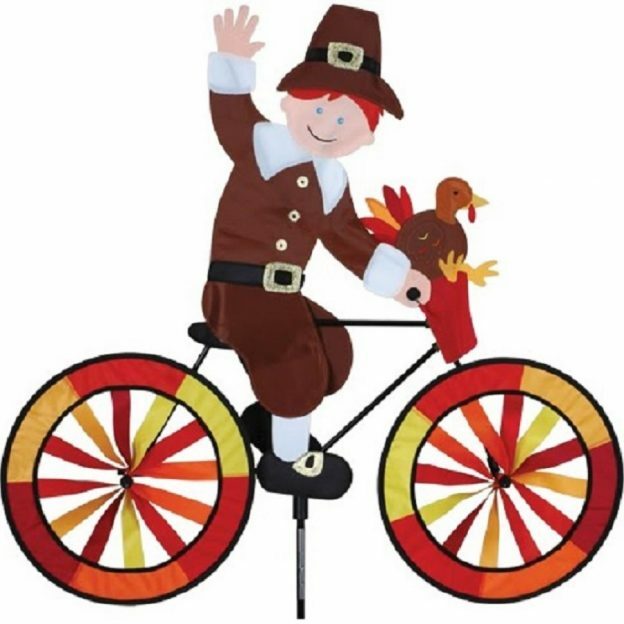 Please download the 12.5-mile Turn-by-Turn Route to begin your bird watching journey by bike to see some of Shoreview’s birding hotspots. More map options can be found at the Ramsey County Maps. 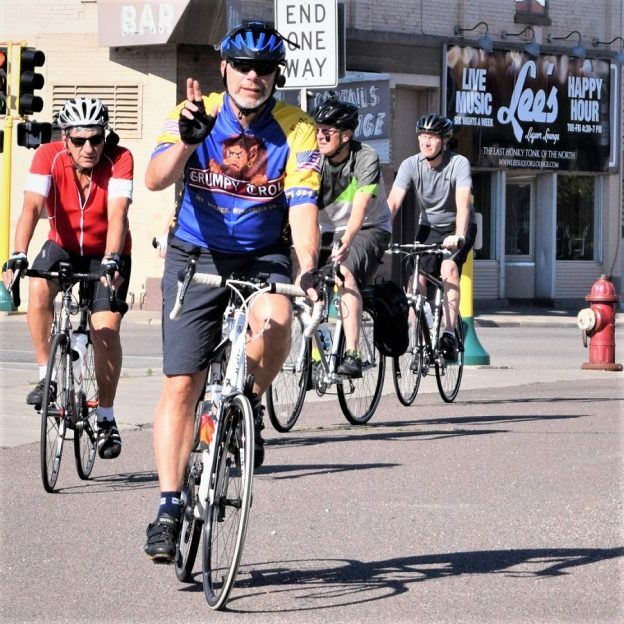 This entry was posted in News and tagged #nextbikeadventure, #onlyinMN, #twincitiesgateway, bike and birding, bike/birding hotspots, birding hotspots, Minnesota birding haunts, Minnesota birds, Minnesota trails, Shoreview MN, Twin Cities Gateway on January 13, 2019 by Russ Lowthian. 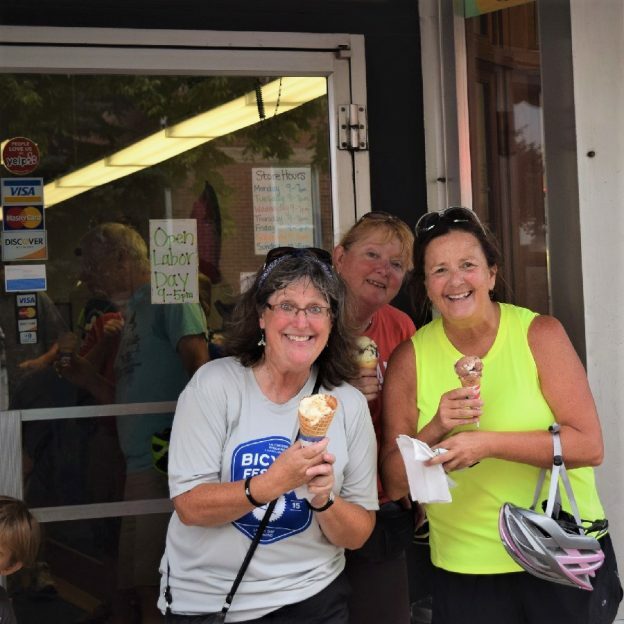 On this bike pic Sunday, digging through the archives, we found some biker chicks in heaven as they walk out of the ice cream shop after riding one of the many rides offered during the La Crosse Bike Festival, over Labor Day Weekend. 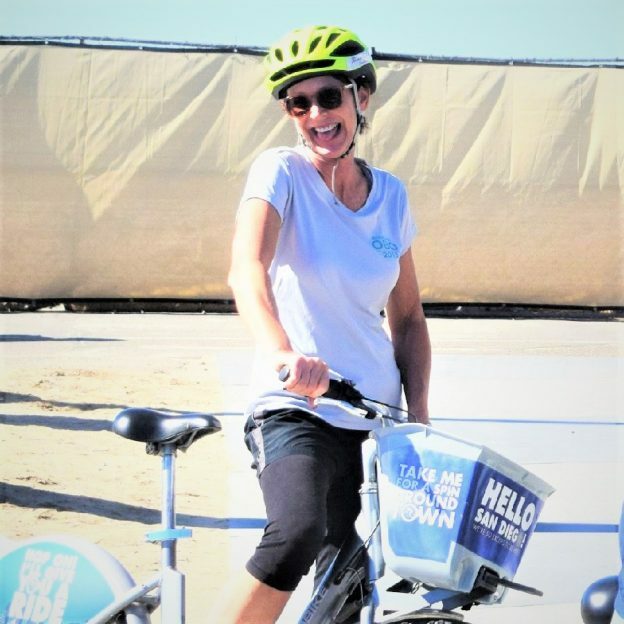 This entry was posted in Picture of the Day and tagged #nextbikeadventure, bike guide, Bike Ride, biker chick, Biker chicks, ice cream, Ice cream smiles, Ice Cream Smiles Sunday, La Crosse bike festival, La Crosse WI, Memorial Day Weekend, pic of the day, Road bike Iowa, sunday fun day, sunday smiles on November 25, 2018 by Russ Lowthian. 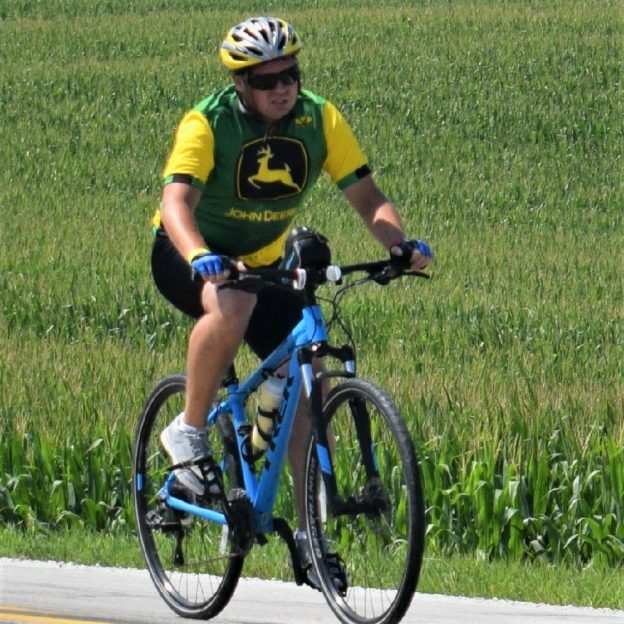 This Bike Pic Friday digging through the summer archives we found this biker dude riding like a Deere past the cornfields in Iowa on Ragbrai. 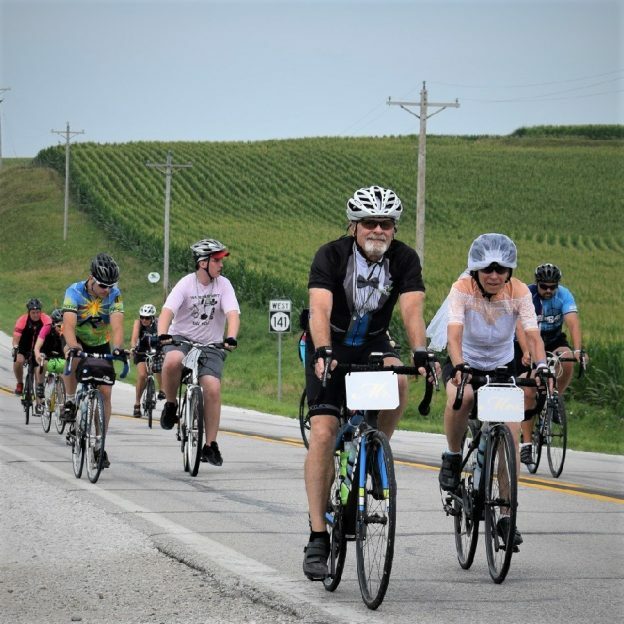 This entry was posted in Picture of the Day and tagged #nextbikeadventure, bike guide, Bike Iowa, Bike Ride, bike touring, biker chick, Bride and Groom, Iowa bike guide, more kids on bikes, pic of the day, RAGBRAI, Road bike Iowa on November 23, 2018 by Russ Lowthian.